Occasionally, there was light. The bulb that had shattered still sent out occasional sparks along with a crackling sound. It let her she bulky shadows where the man and boy were sitting. Her bladder was full again. Why did this always happen when she had to be really quiet, and making noise would get them all killed? She felt like she was leaning to her left, but shifting in her seat didn’t help. They were on the bottom and the boat wasn’t quite level. “It’s been an hour. I think they’ve moved off.” Isaiah was whispering. Then Keisha heard a click and the lighting came back on. She saw the floor was covered with about an inch of water. Isaiah was wearing a headset, which is why she didn’t hear anything over the speakers. Keisha pulled herself out of her seat but had to grab onto the consoles and bulkheads to keep from slipping. Josiah took her through the rear hatch and down a narrow passageway, their footsteps echoing on the metal plates. The engine room must be all the way to the rear, because she heard some small motors powering up from that direction. Then they took a hatch to the right. The lighting was a little better in here than the main control room, and she found herself looking down at a roughly cylindrical device about the size and shape of a propane barbecue tank. One side was open exposing the interior, and she could see baffles, tubing, gears, and pistons inside, a mechanism in potential and ready to be. Keisha eyeballed the circumferences and they seemed right. “It’s why submersibles aren’t nearly as common as airships. Airships can use steam engines but like you said, underwater, that’s not going to work. Pa created the process based on Ma’s figures. Pa’s wrong when he says I’m like her. No one’s as good at mathematics as Ma.” He looked down at his shoes and was quiet for a minute. She pulled the little boy to her and let him sob against her still sopping wet blouse. Keisha didn’t doubt that Isaiah was a good man and a good Dad, but he seemed like the sort of guy who had strong principles and expectations. Sometimes, you have to let your kids just be kids and need you. She closed her eyes and thought about Grandpa. She really needed him right now. “Don’t apologize. I know how it feels.” They both shared that same look in their eyes, a haunted, emptiness, revealing a hole in their hearts that could only be filled by someone you love who was never coming back. Keisha knew what it was like to lose a Mom, but right now, Grandpa was the one she was wishing for the most. An hour later, the floors were dry, the batteries were recharging, the leaks were repaired, and even the shattered light bulb in the control room was replaced. Main engines were still out, but they’d have to wait. “Thanks, Isaiah.” In spite of herself, she felt proud at being able to contribute. Most of what she encountered in this inside out, upside down world made no sense to her, but a snorkel was basic engineering, and that’s what she did the best. For a minute, being complemented by Isaiah felt like all the times when her own Grandpa would tell her “well done.” She’d give anything to hear his voice just one more time. Isaiah put on what looked like an old-time diving suit, complete with round, iron helmet and air hoses leading back to the Dakuwaqa. The air lock was pretty much what she expected, except, he attached the helmet’s rubber hoses to valve connections on the wall inside. Then, he flooded the compartment and opened the outer hatch. The suit had a weight belt and lead attachments to the boots. There was a second belt that held a number of different tools, including a few Keisha didn’t recognize. He stepped ponderously out of the hatch and out of sight. Thirty minutes passed. Only an hour until dawn, which meant even if the snorkel worked, it would be far more visible once it was daylight. But the alternative was to surface, and that would surely make them vulnerable to their enemies, whoever they were. Keisha, Isaiah, and Josiah aboard the prototype submersible “The Dakuwaqa,” have managed to evade a barrage of depth charges and are now stranded at the bottom of San Francisco Bay. Their air supply all but exhausted and power systems slowly being restored, it seems like the young teenage girl’s idea to create a makeshift snorkel will save their lives. But while her host, the submarine’s innovative inventor, is performing the final installation tasks outside the boat, he is attacked by a Great White Shark. 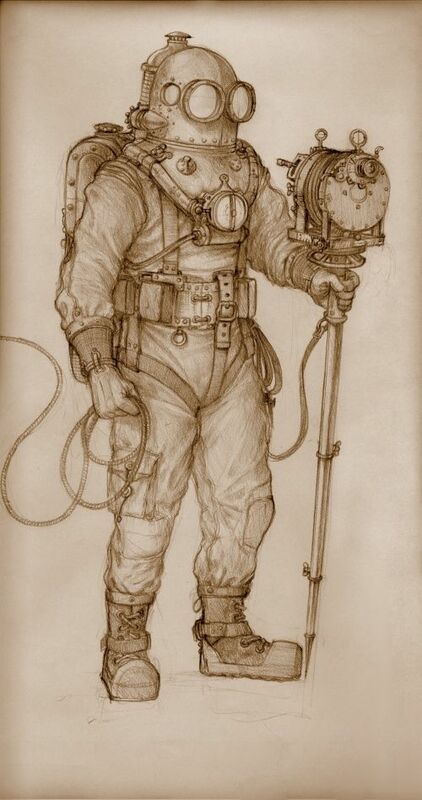 In his bulky, weighted down diving suit, there’s nothing he can do to escape in time. 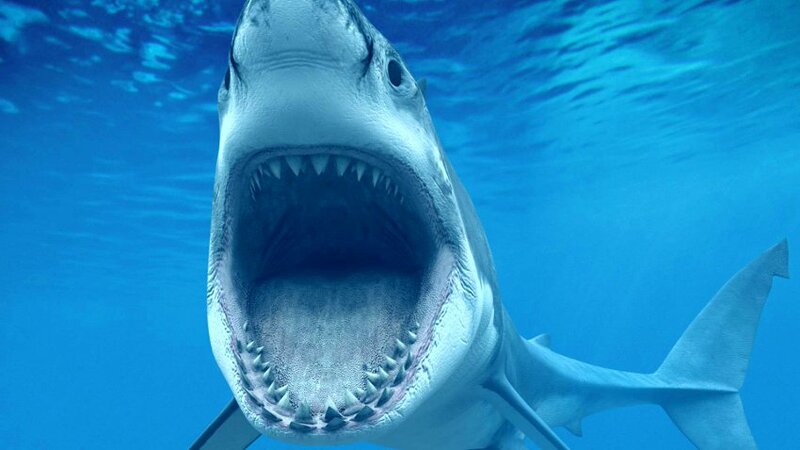 Oh, as it turns out, sometimes Great White Sharks do invade San Francisco Bay, but not as far as I’m suggesting here. The next chapter is Below the Waves. With all of their ‘modern gadgetry’ it was great that they did not know about the snorkel. Nice. If you think about steampunk technology, it’s incredibly complicated and usually dependent not just on steam, but esoteric substances. Something as basic as a snorkel could well be overlooked because it’s pretty straightforward engineering.